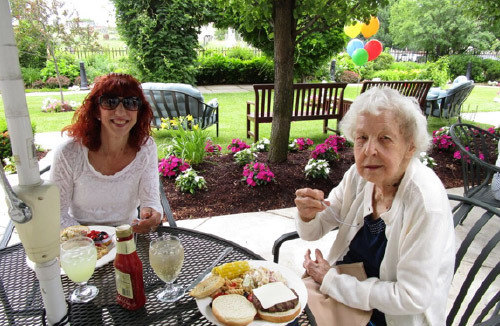 Residents of the Zelma Lacey House – a 66-unit assisted living community located on West School Street in Charlestown – recently gathered to celebrate the property’s first annual Family and Friends Fun Day. Created to build community and connections among Zelma Lacey House residents, their families, friends and Charlestown residents, the event attracted as many as 55 residents and 85 attendees, from children to grandparents. The first annual Family and Friends Fun Day featured live music, traditional backyard barbeque fare and no shortage of sweet summer treats. Activities included face painting, balloon sculpting and coloring stations, as well as a family-friendly games and contests. Zelma Lacey House is managed by Braintree-based, full-service real estate firm, Peabody Properties, Inc. Below are two photos from Family and Friends Fun Day at the property.